Introduction: The need for global health training for early-career family medicine physicians is greater than the supply. This paper details the formation of a one-year, self-funded global health fellowship for early-career family medicine physicians. Methods: In August of 2012, the University of Washington Department of Family Medicine established a self-funded, non-ACGME (Accreditation Council for Graduate Medical Education)-accredited fellowship in global health. The fellowship is targeted at early-career family medicine physicians. During the one-year fellowship, the global health fellow rotates through a variety of clinics in the greater Seattle area, including HIV, TB, STD, and other infectious disease clinics. Other activities include selected global health courses at the University of Washington, practice in a continuity clinic seeing both family medicine and pre- and post-travel patients, and a variety of teaching, speaking, and publishing opportunities. The fellow may spent up to two months overseas engaged in clinical practice and/or research; one option for fellows is to work and teach at the district hospital in Naivasha, Kenya, at which the University of Washington has established an ongoing teaching and practice program. The majority of the fellow’s salary and benefits is funded by the fellow’s clinical activities. This funding mechanism allowed the fellowship to be launched with minimal of institutional financial support. Results: Of the first three graduating fellows, two now practice primarily in the US and one works in Malawi with Seed Global Health. The fifth fellow will begin in August 2016. The robust and increasing number of applications suggest that this fellowship is meeting an ongoing need. Conclusion: This fellowship demonstrates that the need for global health training of early-career, family medicine physicians can at least be met in part by self-funded fellowships of this nature. CIA World Fact book, 2012 [June 14, 2013]. Available from: https://www.cia.gov/library/publications/the-world-factbook/rankorder/2102rank.html. The World Bank, 2013 [June 14, 2013]. Available from: http://data.worldbank.org/indicator/SP.DYN.LE00.IN. American Academy of Family Practice, 2015 [April 19, 2015]. Available from: http://www.aafp.org/home.html. A complete listing of courses available through the University of Washington’s Department of Global Health, 2016 [25 May, 2016]. Available from: http://globalhealth.washington.edu/academics/courses. WHO Global Competency Model, 2015 [April 19, 2015]. Available from: http://www.who.int/employment/WHO_competencies_EN.pdf. Anderson L. International medical aid. CMAJ. 1963;89(5):225. Gupta AR, Wells CK, Horwitz RI, Bia FJ, Barry M. The International Health Program: the fifteen-year experience with Yale University's Internal Medicine Residency Program. Am J Trop Med Hyg. 1999;61(6):1019-23. Haq C, Rothenberg D, Gjerde C, Bobula J, Wilson C, Bickley L, et al. New world views: preparing physicians in training for global health work. Fam Med. 2000;32(8):566-72. 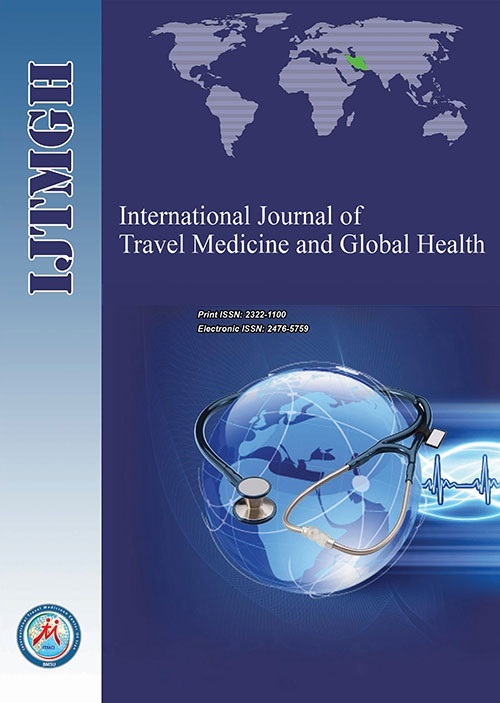 Gjerde CL, Rothenberg D. Career influence of an international health experience during medical school. Fam Med. 2004;36(6):412-6. Leach DC. Accreditation council for graduate medical education. Continuing Education in the Health Professions: Improving Healthcare Through Lifelong Learning. 2007:210. East African Diploma in Tropical Medicine and Hygiene [April 19, 2015]. Available from: https://www.lshtm.ac.uk/study/cpd/eadtmh.html.